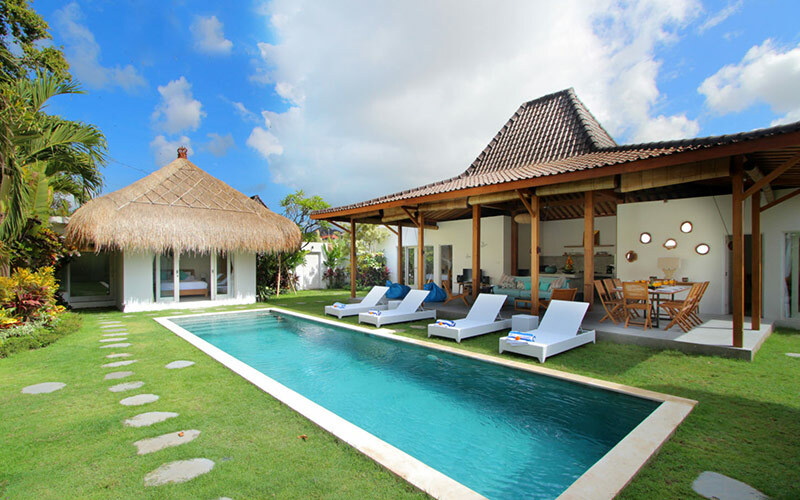 Located in Jalan Drupadi, a very fashionable area in Bali between the center of Seminyak, Oberoi street and the beach, the villa will seduce you with its style and elegance. Once past the door a long green stone swimming pool invites you to refresh. On your right, a beautiful authentic Joglo (Javanese house made from antique teak) fully renovated and comfortably furnished sheltered the living room and the American kitchen which are fully opened to the tropical garden. In extension two large bedrooms with en suite bathrooms. The other two bedrooms are located opposite the pool. It is accessed through glass doors which allow a clear view of the villa. Let yourself be carried away by the magic of the place where the Balinese staff always pleasant and intentioned will make your stay unforgettable. You have review for Villa tinn-tamm?